Did you know that an astonishing 52 percent of small businesses are home-based? That’s according to the SBA’s Office of Advocacy. Running a home-based business must have numerous advantages for many business models, and for businesses of different ages. For example, during the start-up phase it represents a low-cost and low-risk avenue for conducting business. However, a home office has its limitations. Small business owners often find that they are not cut out to work from home, or they’ve found their enterprise growing and need to hire employees, or they simply need a more professional space in which to conduct business. But how do you make a seamless and cost-effective transition from a home-based business to a professional office space? Here are some best practices to consider as you expand beyond your home-based business environment. If you are considering a commercial property lease, make sure you have a clear sense of your budget on a per-square-foot basis. Ask yourself how many offices, cubes, or workstations you’ll need, now and in the future. If you anticipate further growth, preempt the need for multiple moves by looking for a building that has extra space you can expand into should you need it. For advice on negotiating a commercial lease, read: 6 Tips for Negotiating a Commercial Property Lease without Getting Burned. For more tips on choosing the right business location, read SBA’s Tips for Choosing a Business Location and don’t forget to be aware of zoning restrictions at your new location. Caron Beesley has over 15 years of experience working in marketing, with a particular focus on the government sector. Caron is also a small business owner and works with the SBA.gov team to promote essential government resources for entrepreneurs and small businesses. 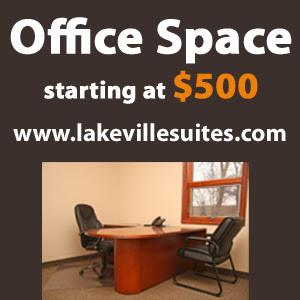 The office space is an important asset for any business owner. With the help of a good office space, various types of business related activities can be conducted in a smooth way. It has also become easy to set-up offices for rent for small business which is helping in the growth of the company. I'm a 28-year old girl, who spent the last eight years in Chicago. I was in need of a big change. So....I moved to LA. Since moving to LA nearly three years ago. team. Perhaps this is the best service for the transportation of things. Returning to my story... I've met a bunch of new people I now call my friends, gotten promoted at work, fell in love (with a Australian), started learning surfing, and have really grown as a person. It's been a highlight in my career and life in general. I think anytime you do something big and bold and outside your comfort zone, add a positive attitude and cross your fingers for a spot of luck – you generally don’t have regrets, because I don’t.